The city of London is doing a lot of work to improve the quality of its air. Perhaps more US cities could pay attention to what the English capital is doing instead of incessant fruitless political debates that go nowhere? It’s hard to get away from the fruitless political talks that have taken over our country to our detriment. Our politicians are pretty good when it comes to speeches, while cities around the world have been furiously on the move. One such city is London. The English capital has been putting its money where its mouth is with a few noteworthy concepts. We talked about a no-brainer trialed by UPS there, a battery-powered mobile cargo unit that can be maneuvered with a bicycle or by walking with it. The city has also decided to keep its iconic London taxis but bring them into the 21st century with an electric drivetrain. Welcome the TX eCity London Taxi from the London Electric Vehicle Company (LEVC), part of the Geely group. These electric taxis are being slowly introduced on the streets of the city. Has anyone taken a ride yet? We’d love to hear from you. LEVC stated that it hoped to see the number of electric taxis in the capital and elsewhere grow to the hundreds by January. The new electric London taxis will have a very different atmosphere. Starting with a panoramic sunroof, you will now be able to see the drizzling rain up close without getting wet. Okay, that was a cheap shot. Global climate change means more English drivers can drive top down and English wines are pretty good. The other amenities are USB charging ports available to the public, as well as a full-size power socket for laptops. What interests us most is that we are now able to continue our always-on connected life with the company’s free Wi-Fi inside the cab. And rest assured, privacy is assured through a communication system with that driver that can be switched off. Charles, take us home. Hot or cold is a thing of the past with the new London electric taxis. You can set the temperature of the cab yourself. As far as payment, although cash is still accepted, credit cards and contactless cards are accepted. And the price of the trip? Same as the old one. No changes here, something we can rejoice about. The TX can recharge via a 50 kW rapid charger system. And for the squirmish, it can be ordered with a range extender 1.5L gas engine. It offers 3 operating modes: “Smart” to maximize its battery pack, “Pure EV” for more power, and “Save” to stretch the overall range. Speaking of which, the range is a little over 400 miles (650 km) with the extended range, or 75 miles (120 km) on battery alone. It rests on an aluminum frame. The TX is in its 5th generation and is the first zero-emission vehicle that uses LECV’s eCity technology. 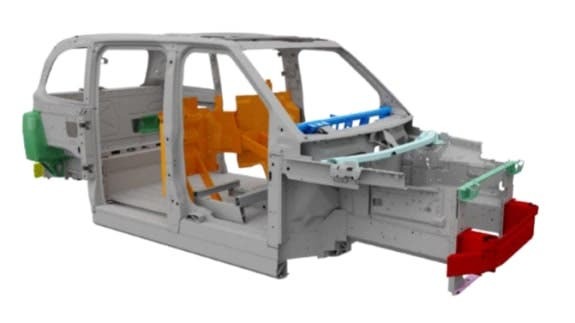 Geely announced two years ago that it would invest over £300 million ($400 million) to build a new state-of-the-art research, development, and assembly facility for the London Taxi Company. It invested an additional £50 million ($67 million) in its production facility in Ansty, Warwickshire, and turned it into the group’s UK R&D headquarters. The new facility opened its doors in March 2017 to produce the TX taxi series, and the taxi was shown 6 months ago at the Goodwood Festival of Speed. 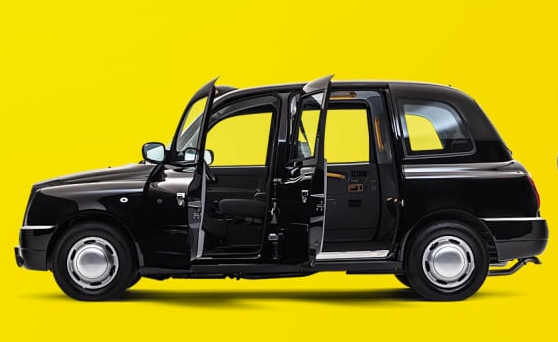 We welcome a quieter and smoother ride with the new London electric taxis. Now, when can we get the same everywhere?